Vena, makers of sleek, stylish and functional mobile cases and accessories, today announced an expansion to its magnetic mount line by introducing a new magnetic smartphone and action camera bike mount designed for safe outdoor adventures. Vena’s “6Netic Magnetic Bike Smartphone Mount” is perfect for cyclists or parents with strollers who want to stay connected for hands-free phone calls, music playback or navigation. 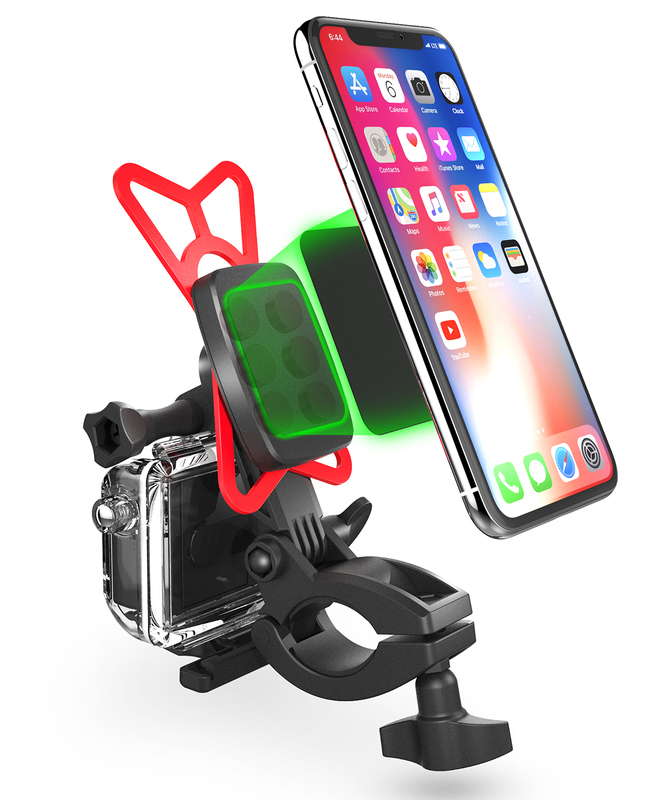 It is one of the first magnetic mounts in the market to offer the option to mount an action camera or a compatible light. The Vena mount is lightweight yet sturdy in design to ensure security for devices while biking on tough terrain. The magnetic phone bike mount features 360-degree rotation, allowing for either landscape or portrait orientation for optimal viewing during use. Its strong and compact design ensures safety and security for phones of all sizes. The extended arm of the mount allows for seamless mounting of an action camera or compatible bike light. The Vena Magnetic Bike Mount is the perfect companion for adventures in the great outdoors. Compatible with an action camera or bike head lamp without taking space or interfering with bike operation. Works with or without a phone case and is also compatible with larger smartphones such as the Samsung Galaxy Note 8 and thicker phone cases. Limited lifetime warranty. Please visit the Vena website for more details. Vena started in Minnesota, USA. We are dedicated to helping you protect your latest devices with our innovative designs. We carefully select and design our products to bring life to your device - while creating stylish and functional products. Our customers are our inspiration. Your lifestyle inspires us to create innovative products to suit all walks of life. At Vena, it’s not about us; it’s about you. For more information visit https://www.venaproducts.com/.